Pair up - challenge on! Soft inflatable surround for safe landing. 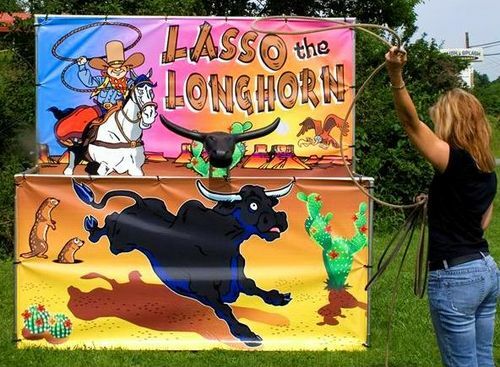 Lasso the Longhorn $150 (3 hour metro hire). Available as an add on to any Bucking Bull hire. Not for individual hire. Why hire a standard Bucking Bull when you can upgrade to our brand new, fastest and wildest ride - our deluxe Mechanical Bucking Bulls. These guys are the ultimate Bucking Bull hire anywhere in Perth! The others are like rocking horses compared to these mean beasts. Our brand new deluxe Mechanical Bulls are our most advanced models. These beasts have been designed with safety and realism in mind. The automatic stop sensor will make the bull stop instantly when the rider falls off. 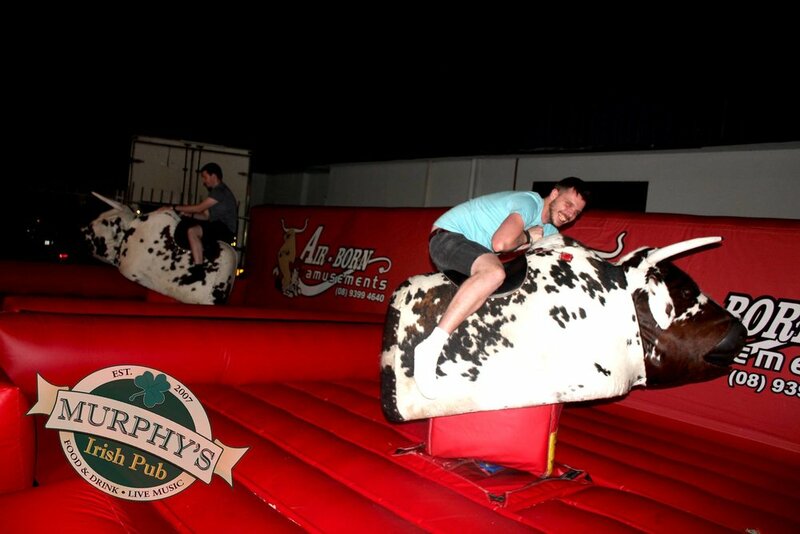 The Bull's head has extra special features that will shock and thrill your party goer’s and riders. With just a touch of a button we can make the BULLS SNORT SMOKE!! They come complete with a Wild West theme Inflatable with 3D bull skulls on the back wall. All our rides include GST, free set up/pack down and free metropolitan delivery(Joondalup to Mandurah).